This entry was posted in Movies, Reviews and tagged adaptation, Ant-Man, Cinema, Comic Books, Critique, Film, Film Reviews, Films, Hodgepodge, Marvel, Marvel Cinematic Universe, Movie Reviews, Movies, Podcast, Reviews. Bookmark the permalink. EPISODE 02: FLAVOR OF THE MONTH! This entry was posted in Crossover Podcast and tagged Ant-Man, Batman v Superman, Comic Books, Crossover Podcast, DC Comics, Film Reviews, Films, Hodgepodge, Marvel Comics, Movie Reviews, Podcast, Superheroes, Zack Snyder. Bookmark the permalink. This entry was posted in Podcasts and tagged 2015, Ant-Man, Apocalypse, Avengers, Batman, Comic Books, Episode, Evangeline Lilly, Film Reviews, Films, Hodgepodge, Marvel, Michael Douglas, Michael Pena, Movie Reviews, Movies, Paul Rudd, Peyton Reed, Podcast, Suicide Squad, Superman, X-Men. Bookmark the permalink. 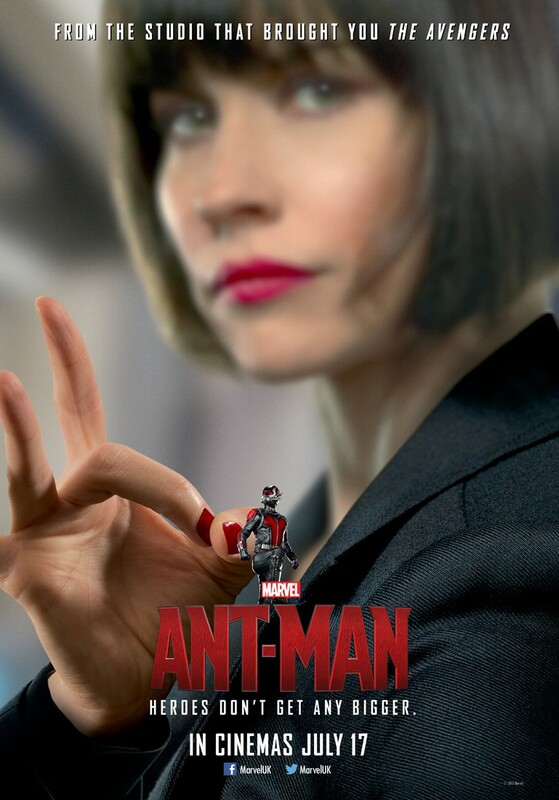 This entry was posted in Reviews and tagged Ant-Man, Avengers, Bobby Cannavale, Corey Stoll, Edgar Wright, Evangeline Lilly, Film Reviews, Films, Hodgepodge, Marvel, Michael Douglas, Michael Pena, Movie Reviews, Movies, Paul Rudd, Peyton Reed, Podcast. Bookmark the permalink. 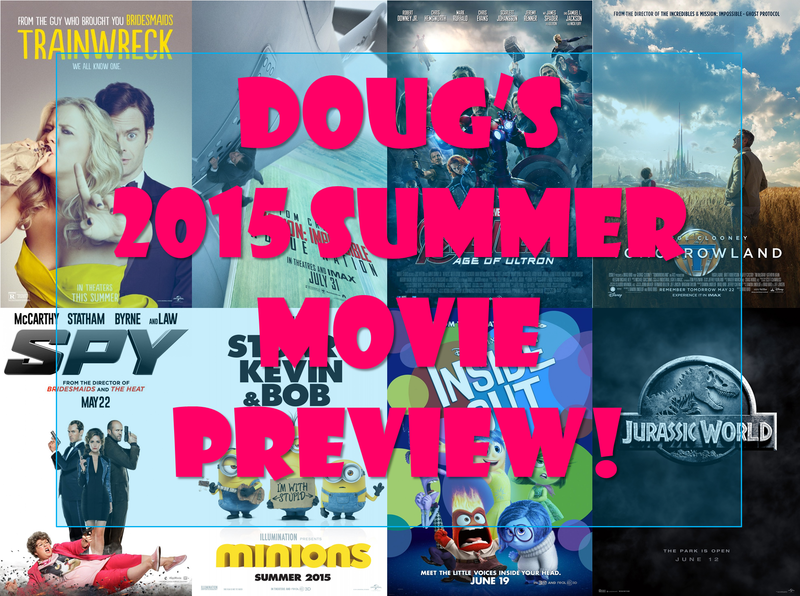 Doug’s 2015 Summer Movie Preview! It’s that time of year again when the temperatures remind those in denial that maybe the Earth is getting hotter and everyone seeks shelter in the air-conditioned sanctuary that is the local multiplex. But what to watch once you’re there? Well, I’m here to clue you in on twenty-two of the films I’m most curious about this summer. Like with my Fall Preview last year, this will be a curtailed affair, so I won’t be slamming too many films as unwatchable, but in looking at the calendar, I don’t see many egregious offenders—for once. Maybe that means movies are getting better? But it’s probably more because Paul Blart 2 is a spring release. This entry was posted in Reviews and tagged 2015, Aloha, Ant-Man, Avengers, Fantastic Four, Films, Inside Out, Jurassic World, Mad Max, Minions, Mission Impossible 5, Movies, Preview, Sequels, Spy, Summer, Ted 2, Terminator, Tomorrowland, Trainwreck, Ultron. Bookmark the permalink. In Episode 39 of The Hodgepodge Podcast, Doug and Dirty A talk about the continuing saga that is Marvel Studios’ Ant-Man, or as Doug insists on calling it – CAN’T-Man. They then discuss what works and what doesn’t in Disney’s Maleficent, before turning their attention to three recent indie films: Cold in July, Fading Gigolo, and the best of the bunch, Only Lovers Left Alive. This entry was posted in Movies, Podcasts and tagged 2014, Angelina Jolie, Ant-Man, Cold in July, Fading Gigolo, Film Reviews, Films, Hodgepodge, Jim Jarmusch, Maleficent, Marvel Studios, Movie Reviews, Movies, Only Lovers Left Alive, Podcast, Reviews, Summer 2014. Bookmark the permalink.